Ration Guard is a product we recommend for use in your TMR mixes as well as fine ground corn during the hot summer months. It helps keep your TMR cooler which in return means less nutrients lost and more feed consumed. 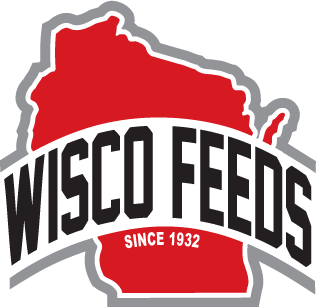 Wisco Feeds is now an authorized dealer for Schuld Bushnell feed bins. We partnered with Schuld Bushnell due to there great reputation in the dairy industry. Their smooth walls and galvanized metal construction are great for flow and reliability. Contact Kent at the mill or one of your Wisco nutritionists for more info. Silo Guard II is Wisco Feeds recommended Forage preservative. This is not an acid or bacteria based product, it is a preservative product. We have selected Silo Guard as Wisco Feeds product of choice for your forages because of how well it works compared to other bacteria and acid based options. Like Us / Follow us on Facebook for even more info.